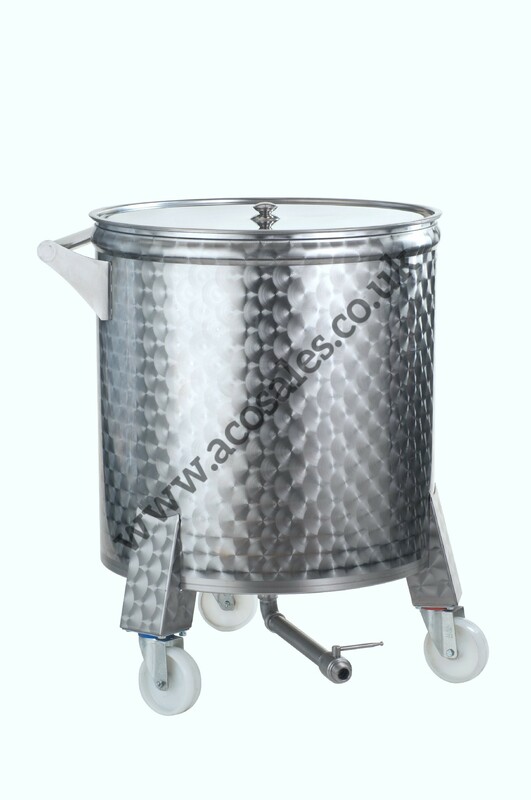 Welded and folded stainless steel drums from 2 litres up to 100 litres. 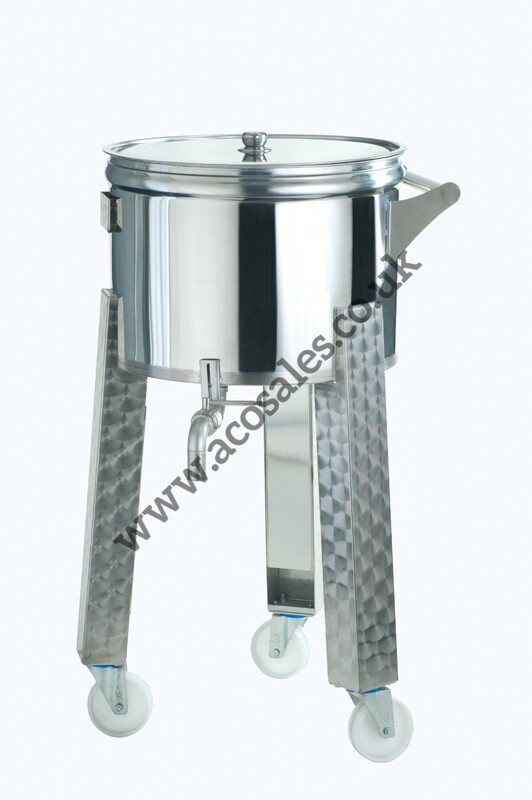 All of our drums have screw on sealed lids and are available with outlet tap. 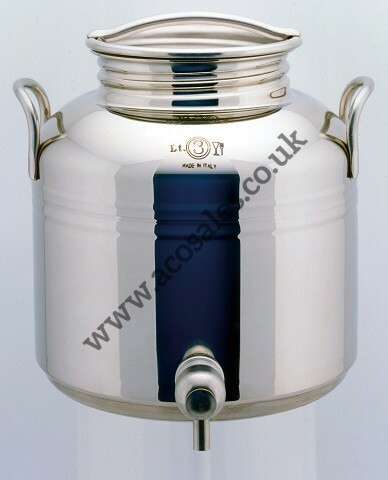 Stainless steel barrel tanks from 50 litres up to 2000 litres. All of our barrel tanks are supplied with conical bottoms with outlet tap and stand. 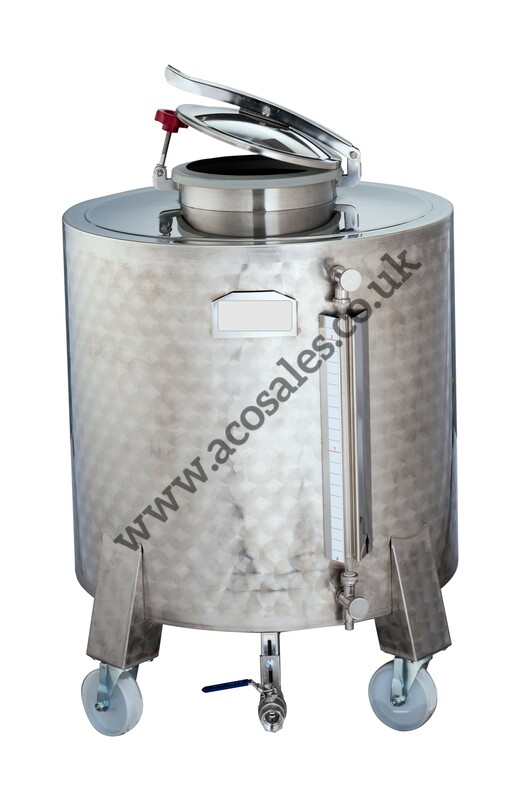 Mobile stainless steel tanks are available in high and low versions and from 100 litres to 500 litres. Please see attached pdf for available sizes of both.